It's time for another book review on this little blog! My latest three reads were all really good. I read one book that was light and fun, another that I couldn't stop thinking about days later, and a third that affected me in a way that no other novel ever has. Gosh, that sounded dramatic. Here's what occupied my nightstand this month! I have read several Sarah Dessen novels, and they are always light, easy reads that I really enjoy. This one is about a high school girl who goes from seemingly having everything to the girl who has nothing and nobody. Annabel has a dark secret and has had to deal with more as a teenager than most do as adults. She meets Owen, a loner, music-obsessed boy, and the two navigate an unlikely friendship as she works to overcome all she has been through. I really liked this book. It was light but wasn't afraid to touch on real issues. 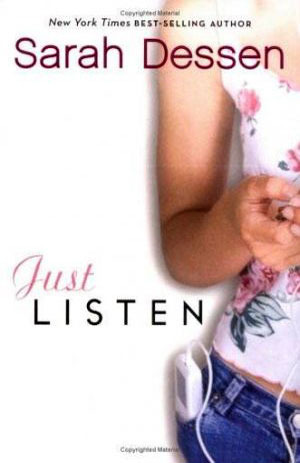 If you like chick lit, read it! 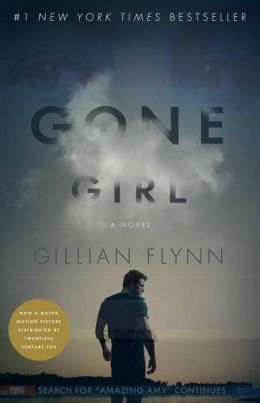 I am almost embarrassed doing a review on this because I am convinced I am the last person on earth who had not read Gone Girl, but nonetheless, here I am. I absolutely loved it! It's just a brilliant book with an even more brilliant main character. Amazing Amy seems normal at first, but we quickly realize there is more to her brilliance than what meets the eye. She goes missing, and her plot slowly unravels into what is one of the most thrilling stories I have ever read. If you are one of the latecomers to this book too, read it now! It sounds really dramatic to say this book changed my life, but it definitely changed the way I view my life. 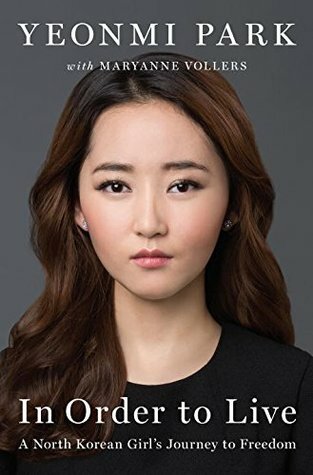 This is the true story of Yeonmi Park, a North Korean who fled with her mother to China and eventually South Korea to escape the extreme poverty and inhumane life she had in North Korea. Here is what got me on this: this girl is my age. The things she went through while I was going to school, having birthday parties, going to college... it's absolutely mind-blowing. This is a book I will remember for a long time, and it made me wish that I could adopt a baby from North Korea, but of course I know that isn't an option. Yeonmi is real and honest about her journey, and the things this girl did to survive are nothing short of extraordinary. If you read one book I recommend all year, make it this one. Gone Girl!!!!!!!! That book was INTENSE. And I read it AFTER seeing the movie, and I still couldn't put it down, even though I knew the majority of what was going to happen. Not a fan of her other books (maybe I'm a pansy, but Dark Places made me feel nauseous in parts) but loved this one! I've seen the movie for Gone Girl but have still not read the book haha!